Today I had a great experience at Antigo Complete Dental. I called two other dental offices and they were unavailable on Fridays. Dr. Gubler's office got me in within an hour. I was able to leave with my tooth fully repaired. I was able to have my crown done in one visit; no follow-up to cement and no temporary crown. Also, Dr. Aaron froze my tooth with no pain whatsoever. I found my new dentist! 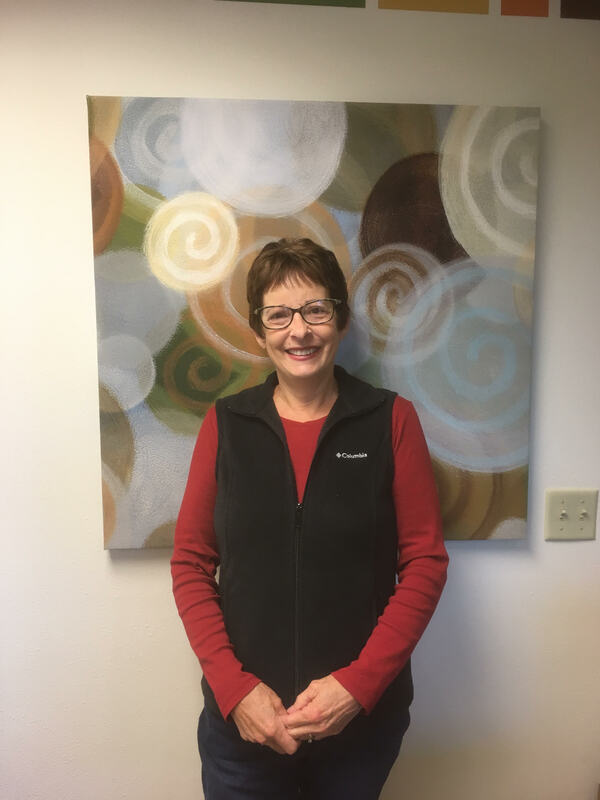 I walked into Antigo Complete Dental Center and was greeted with a warm smile and "Hi, Jan." They are such a nice staff which did much to relax me, the patient. The professional care was expedient and carefully given along with consideration, respect and very little physical discomfort to me. "Pain-free" that's for me!! Dr. Gubler and staff were excellent. They made me feel very comfortable getting my new crown. Dr. Gubler has a great team. Keep up the good work girls!! I found my new dentist! Dr. Aaron and his staff saw me on an emergency call and fixed my tooth pain within an hour of calling. I couldn't have asked for a better experience or staff! one-day visit; I was in and out in two hours! Dental Center which makes my visits more pleasant! finished in one visit!! Everyone was so helpful and pleasant. pain-free and an excellent dental practice. gentle. I would recommend Antigo Complete Dental to everyone. for that. Dr. Aaron and his team are awesome! My procedure was long, but I was treated very well and had no pain! Dr. Aaron and his staff were very nice and I even got a tour of my tooth being created! I appreciated Dr. Aaron and his assistant’s concern for my comfort. It was great to have my crown taken care of in just one visit. This was my first crown and I was very pleased and impressed with the experience! It was pain-free and the whole process went very smoothly. It is great to know that all was accomplished in one visit! Dr. Aaron and his assistant were very pleasant and extremely professional . FI felt I received excellent attention and care! I complimented a person for her beautiful teeth and lovely smile. She said it was thanks to the Complete Dental Center whom helped develop her lovely smile. I always wanted a better smile that showed my teeth. With Dr. Randy’s help, I have committed myself to better my dental health. He understands and listens to my needs, wants and concerns. I’m still at the early stages with replacing missing teeth and working on whitening my existing teeth. Dr. Randy and I are working together to achieve the goals we have set for my teeth. All the staff are caring, warm and friendly. You’re made to feel welcome with every visit. I can’t wait to smile with confidence! I recently changed my dentist and decided to go to Antigo Complete Dental Center. I am amazed at this place in so many ways. Everyone here is so helpful, nice and knowledgeable. They took the time to answer all my questions and even showed me things they can do for me. I am so happy with the quality of work they did on my cleaning and the patience they had when I got my fillings replaced. I made the right choice choosing them for all my dental needs. Thanks ACDC for all your help! I really like going to the Antigo Complete Dental Center. Everyone is so nice, and they are really good with people who are nervous about having stuff done to their teeth. I broke an old crown on Monday and needed it fixed before leaving for my nephews wedding in Ohio on Thursday. Dr. Aaron was able to use his high-tech equipment to build a new crown in his office on Wednesday and it was all fixed-up that day! Dr. Aaron and his staff are very competent and friendly. He is my new dentist! This is the best thing I have had done! Take my advice and don’t put off your dental care for fear of pain. Dr. Aaron numbs VERY WELL and you won’t feel a thing. This is a special thank you not for the fantastic dentistry office we have in Antigo, WI. Dr. Aaron did a beautiful job and is very professional. I love my Cerec crown and I had NO pain! The staff and the hygienist, Ashley, that worked with Dr. Aaron was very kind. They took beautiful x-rays. Just call 715-627-1000 if you need dental work! Thank you Dr. Aaron again for making my teeth all match! The ladies up front make the office a great place to visit. Ashley was a truet professional and explained every aspect of my treatment options perfectly. Being provided options and being a part of the plan is a great bonus as a patient. I had a new crown placed and it was a great experience! No pain! Easy listening NuCalm was very pleasant; I almost fell asleep! Do not be afraid! Dr. Randy and Brenda have you at ease; there is no fear with them! They are gentle, kind and really care for you! The whole staff greets you with a smile that makes your day. I even got to listen to soothing music that made lapping sounds of the waves. Ask for that when you go in; I highly recommend it. I am so overwhelmed how they made me a new beautiful look. Wendy, it was a pleasure working with you! You have a beautiful smile! I am glad you had a great experience and enjoyed our NuCalm relaxation techniques. For those of you who have not tried NuCalm, it is a neuroscience technology that naturally relaxes the mind and body within minutes. This all-natural relaxation allows for a stress-free and comfortable appointment. I had not been to the dentist in ten years. My teeth were not in good shape. I was having a lot of pain in my teeth. I had always been afraid of the dentist. After my very first visit to Complete Dental I began to feel that going to the dentist was not so bad. The staff was amazing! They spoke to me at my level. They went over all my options with me. If you have a real fear of the dentist you have to try Complete Dental. It’s amazing how you can relate to these doctors. I would recommend that my dentist, Dr. Aaron, is the one for you. You will be amazed. Try them! Thank you for your kind words Tony! It has been a true pleasure working with you! We strive to make each and every patient feel like family to allow for a pleasant dental experience. Thank you Teri! We are very pleased to hear of your positive experience! For those of you who have not tried NuCalm it is a neuroscience technology that naturally relaxes the mind and body within minutes. This all-natural relaxation allows for a stress-free and comfortable appointment. We truly strive to make each and every dental appointment as comfortable and stress-free as possible! With my previous dentist I didn't know what I was missing - technology! in one morning! I was completely comfortable throughout the procedure. Dr.
Dr. Gubler is a very easy person to talk to. He always reassures you of anything happening and what’s going to happen, so you’re aware. When I was young, going to the dentist was very stressful; but it’s easy now. Dr. Gubler and his team make it very easy for you to get in and out and back to your life! Thank you Complete Dental Center! 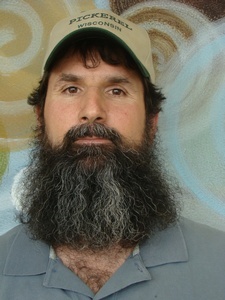 Dr. Gubler is a very easy person to talk to and tells you what he is going to do. He also is very gentle. His team of girls make you feel like you’re important to them. Thank you! The crown that I had done today went very well; no pain, very fast and it looks great! I’m not going to lie, I’m terrified of coming to the dentist. It’s one of my irrational fears. Dr. Aaron and his team have helped calm my fears and helped accommodate apprehension. While I’d rather spend an afternoon elsewhere, going to the dentist no longer cripples me with fear. Thanks guys for helping me and building an action plan to fit my personal situation! This was my first visit to Antigo’s Complete Dental Center. It was a pleasant experience and I highly recommend their services. Their staff is awesome! After cracking a tooth I was able to (at my earliest convenience) get in and see Dr. Gubler as a new patient. I was very happy with the treatment and care that I received. The doctor was great and made sure I was comfortable and informed throughout the procedure (my first crown). The entire staff was friendly and attentive to me. Thanks!! I am so impressed with Dr. Gubler and his awesome staff! They are the BEST dental office between here and Chicago!! Take it from a dental coward like myself – if you want the vest set of teeth please check them out! I had a crown done today. Dr. Aaron made the procedure a “snap.” I appreciate his professionalism and having the latest technology made all my apprehension disappear! Good job Dr. Aaron! ACDC is the most complete dental clinic I have experienced. The same-day crowns I have received felt better after one week than the old-fashioned crowns felt after 4 weeks. The doctors and staff are very caring and knowledgeable. I feel appreciated, the staff is very compassionate and accommodating. I know any issue I have will be handled promptly and professionally with a personal touch. I came in for a root canal and even though I’ve had this done before, I was very nervous. Dr. Gubler and his staff are very kind and attentive. The techniques they used to keep me calm and distracted were perfect. They used headphones with calming music and a machine that works by using low vibrations behind the ear. I almost fell asleep. They were also very attentive in making sure I was numb, so I didn’t feel a thing! The whole process seemed to go quick! I was a bit apprehensive about today’s visit because I have never had a crown done before. Believe it or not, I only felt one of the three shots; and as long as you relax and stay still, the drilling is not an issue! Great job Antigo Complete Dental! I really don’t know where to start, but let’s try starting with an infected tooth. My wife, Julie, called at 4:00 PM and I was seen the very next morning with no waiting. I was in really bad pain when I showed up. The staff took over, Ashley and Alicia were great, very fast and their smile made me very comfortable. I was seen by Dr. Randy and right from the get go his attitude and expertise made me feel better. I have not seen a dentist in a long time and was worried about them judging me. That did not happen. Thank you very much. Krebs dentistry is awesome! I’m 47 years old and I have been to many dentists over the years. Krebs is the best ever. Their technology is awesome. They completed my crowns in one visit, not two like most places. They were very quick and there was no pain, at all! They are all so nice and Dr. Lisa is the best! The price is also very reasonable. I will definitely recommend Antigo Complete Dental Center to everyone I know. Come into Kwik Trip and ask me about it. I am normally completely scared of the dentist, but my first visit here has completely changed my mind-set. My hygienist was upbeat and happy making me feel calm and comfortable. I was not scared and there was no pain. When the doctor came in I was surprised she was the same way as well! Both the doctor and hygienist went over my needed treatment and prioritized the treatment so it was not overwhelming for me. I have actually found a dental office I don’t have to avoid; I actually WANT to come back!! I was referred to Antigo’s Complete Dental Center by my sister, a dental assistant at the office, for work on my front teeth. The staff is very friendly, helpful and they did a wonderful job on my teeth. I am very satisfied and have received numerous compliments on my teeth ever since. BIG confidence boost!! Years ago it would take multiple appointments to have a root canal and a completed. We understand how valuable your time is, so we are thrilled to be able to complete all of the treatment in a single appointment. Please checkout our website drskrebs.com to learn more about Cerec (single visit) crowns. I chipped my front tooth on Saturday night. ACDC got me in right away Monday morning. Dr Lisa did a great job with such a large filling. You can't tell where the real tooth ends and the filling begins. Thank you Dr Lisa & Jamie! Wow! It has been so exciting watching you grow up Colton and how your smile has changed. It is our pleasure to get you going full speed ahead again! Have a great summer! Why I like to go to the dentist is because after we are done I get a toothbrush and toothpaste, and I get to pick out of the prize box. I like it when Dr Randy comes in a greets me nice and tries to be as careful as they can. Isaac won our no cavity club drawing. It is important for children to learn proper brushing and flossing techniques to avoid cavities and to keep their permanent teeth for a lifetime. A child will have 20 baby teeth by the time they are 2 years old. Throughout their childhood they will gradually lose their baby teeth and grow 32 permanent teeth including wisdom teeth. OUR NO CAVITY CLUB WINNER! Thank you very much for the certificate and taking good care of my teeth. I enjoy having you as my dentist. I also appreciate that the staff is kind and friendly too! Thank you Ben for taking good care of your teeth! Dental decay was cut by half in the last twenty years by the use of sealants, fluoridated water and preventive care! The first toothbrushes were made of sticks in 4000 BC. After that toothbrushes were made from bristly hog hair. In 1938 the plastic toothbrush with nylon bristles were invented. We have been coming to Drs Krebs since we moved here in 2000. We would never change. Dr Randy, Dr Lisa & their staff are unbelievably good & also very pleasant! Thank you so much for your confidence. It truly has been our pleasure treating the both of you for over a decade. Developing not only a doctor-patient relationship but also a lasting friendship has been extremely fulfilling for all of us! I could not express enough how warm & comfortable I fell every time I visit, as well as the peace of mind that their consistently professional standard of care grants me. There is not an unfriendly face in the whole place. Thank you so much for your confidence Heidi! We really enjoy building relationships that encourage a positive "dental experience"! Tell all your friends! I used to be afraid of the dentist until I went to see Dr Lisa. I like how they take care of me. I feel more comfortable. I just wanted to say that I was totally impressed by Dr Lisa and the great staff at ACDC. You guys truly are fantabulous! Have a great summer! Thank you so much for the kind words Dan! They have very friendly staff & tell you exactly what they're going to do before they do it. They make you feel very comfortable. I give the a 10 rating! WOW! Perfect 10 rating! That's what we try to achieve at every patient visit. We are so happy that your visit was so relaxing! We have been coming here for all our dental work for twelve years. We like the friendly atmosphere and the professional care we receive. Thanks Dr Randy & Dr Lisa! We have truly enjoyed working with your family over the years! Watching your kids grow up has been quite inspiring!! Dr Randy did a super-excellent job on my two CEREC crowns. I don't know why I was so worried. Crowns were made and put on during one appointment. I didn't have to bite any yucky impression goo either. Dr Randy, Dr Lisa and the entire staff, you are the best!! CEREC crowns are requested by name by our patients now. People often comment how wonderful it is to have their tooth fixed permanently on the same day that their tooth broke. Susan, we are so happy that you enjoyed the process! Everyone always greets me with big smiles and they are so efficient. They answer all my questions which puts me at ease. I never wait long for an appointment. They do excellent work crowning teeth and it's all done in one visit. I never have any discomfort when they work on my teeth. Thanks for the kind words Sandy. The same crowns are custom made on the computer and perfectly color matched to your other teeth. We are so happy that you like the CEREC crowns! I like the dentists because they help me keep my teeth clean and healthy. Thank you Antigo's Complete Dental Center! Seth won $50 in gift certificates for our no cavity club drawing. Brushing twice daily and flossing daily is required to remove plaque and food debris for healthy gums. Flossing even increases blood circulation in your gums to help prevent gum disease. 1) Proper flossing requires the average person to use 122 yards of floss per year Sales data shows that only an average of 18 yards is sold per person each year. 2)You miss cleaning 40% of your teeth if you skip flossing. Dr Krebs & their staff have some of the most modern technology & equipment that I have ever experienced at a dental office. They are very gentle & pain free. Their work is exceptional. -Ed The Wine Guy & Honey Man! We love to see your name on the schedule Ed! We love all your tips on nutrition and health! Everyone should have a 'honeyman'! I am very impressed with Dr Lisa & Randy's kindness and understanding to me when I am in the waiting room or in the dental chair. They show a love in their work and to their patients. We consider all of our patients to be like family. That relaxed and comfortable feeling that people share when they are with family & friends is really special to us. You took the words right out of my mouth David...figuratively! Drs Randy & Lisa have made going to the dentist an enjoyable experience. They are very professional & great at what they do. I would recommend them to everyone. It was fun discussing how far dental offices have come with all the new technology that is now available. Thanks for your referrals Randy! Dear Antigo Complete Dental Center, Thank you for always being so kind and for helping me keep my teeth healthy. I like coming to your office. I am glad I did not have any cavities the last time I came and I was lucky to win the drawing. Two, four, six, eight...who do we appreciate? Kaleb, Kaleb YEAH!! Thanks for brushing! Everybody is very friendly & kind. The two office ladies are very pretty and they make me laugh. Dr Randy and all of the assistants make me feel good even though I might be nervous. They even give you good tips about how to keep your teeth clean and healthy. That's why I like Antigo's Complete Dental Center. Some of our young patients share their ideas for keeping their teeth nice and clean and we love passing on the great tips! We always knew that you could do it Lori! Look how natural and custom they look! Thanks for letting us share the experience with you! The best in town! Everyone is respectable, nice & caring. They explain and listen to you, take their time with you, follow up on your treatment and treat you as one of their family memebers. Just plain fantastic! 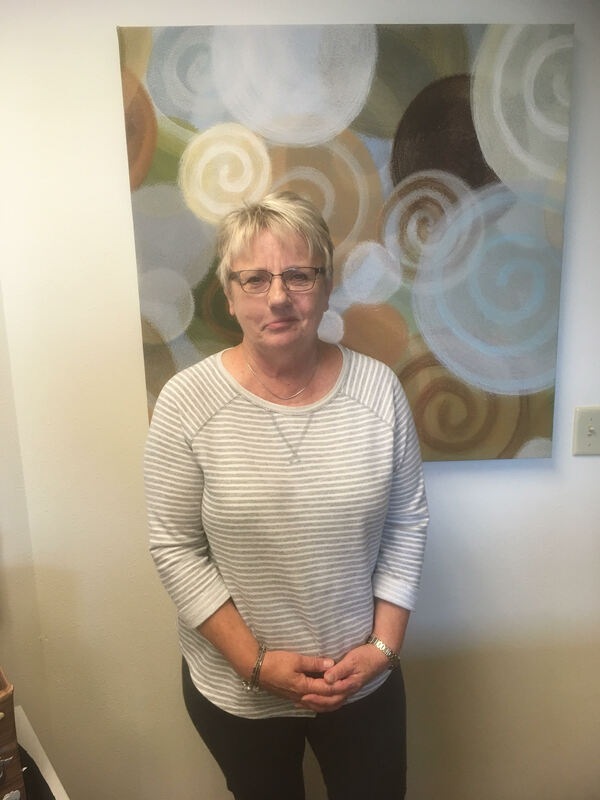 Janet we really appreciate all of you patient referrals of your friends and families to our office. We agree that we are all like a big happy family! The team at Antigo Compete Dental Center really takes great care of me. I spend a large amount of time out of town working. They work with my to schedule to keep my dental needs up to date. Thanks for a great job! As the Scheduling Coordinator, I try to make fitting in a visit to the dentist seamless. Thanks Charlie for always sharing your smile with us! Complete Dental Center have the best dentists in Wisconsin! They make me feel welcome here and they do good work. Hunter...you sure know how to sweet talk girls. ACDC is a great place. The staff is fun & courteous and make every trip enjoyable (well as enjoyable as a trip to the dentist can be). Dr Randy & Lisa are very professional & caring. They are very helpful in educating me to understand the procedures that I need. Their staff is fantastic in the way they handle things from the moment I walk in the door. We really think it is important to explain advancing technology so that people feel confident in the dental options that are available so THEY can choose. This dentist is great. When you are waiting they will give you a magazine, book or gameboy. I have been going here for a very long tine. They are lots of fun! The smiling face of a child after an appointment is the best compliment. We are well on track to eliminating "dental fears". Children often enjoy our upbeat & enjoyable atmosphere...and the treasure chest! A relaxed easy going office. The most comfortable recliners you'll ever sit in and pain free treatments! To Dr Lisa, Jamie and the entire ACDC staff. You guys are the greatest! Thank you and keep up the good work! I have enjoyed working with Kevin over the last several years. We have built a trusting dental relationship because we have taken the time to help educate him on his dental needs and his options. We believe in educating people with the technology that is available today. Sometimes it can be overwhelming and that is why we take the time & help people so they can make the right choice for themselves. Drs Randy & Lisa Krebs and their fantabulous staff at the Antigo Complete Dental Center are fantastic! I was having problems with small tooth aches, bleeding gums & tender teeth, even while going to a dentist regularly. I was getting so depressed and I decided that I just wanted all of my teeth pulled. I then decided that it was time to change dentists. I'm so fortunate I called Drs Krebs office. When I called & spoke with Deb she asked me about my problem & then she asked me if I could come in that same day, I said yes! I had my teeth checked, x-rayed & cleaned. They also gave me some medicated rinse to use at home. When my front tooth started to ache they asked me to come in the next morning by 7:30. Dr Randy did my root canal & made my new CEREC crown right there that same day in about 2 1/2hours and it was completely painfree. I never had to go toothless! I went home smiling & happy knowing that I've found a professional dentist! As of today my teeth & gums are strong. Now I can smile again with no fear of having all my teeth pulled. Thank you also to the girls that cleaned my teeth. Everyone is very professional. They are a wonderful staff! Thank you again Dr Randy, you told me you want all your patients to go home happy & Dr Lisa agreed! P.S. Imagine this-no waiting for your new CEREC crown in a little town like Antigo! 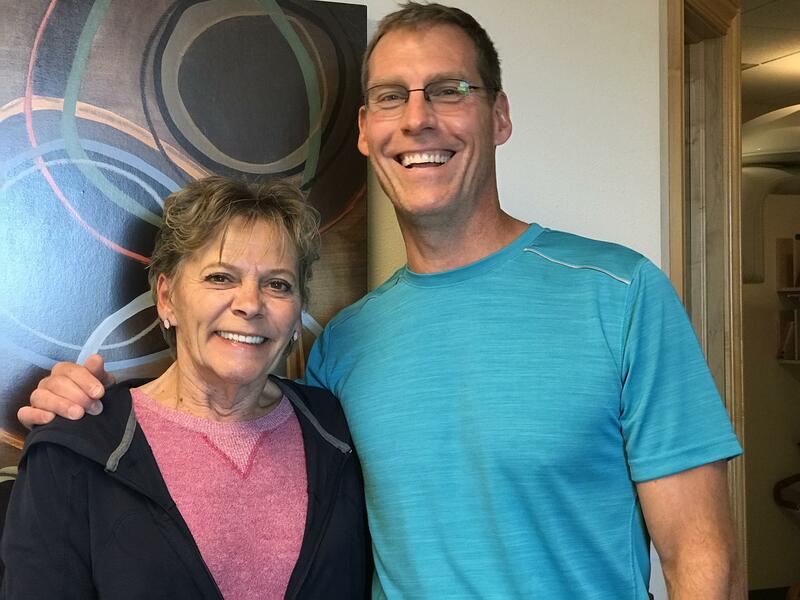 Non-surgical therapy helped Helen achieve the strong foundation to restore her teeth and give her back the smile that she deserves! My wife and I moved from California to Wisconsin last December. We needed to get our teeth cleaned and found this office. We are very happy and will keep coming here for as long as we live in Pickerel. "LOVE IT"! "I came in for horrible left side jaw pain only to find out my tooth needed to be pulled. They made me feel comfy and I actually had fun listening to Julie & Dr Randy sing while pulling my tooth!" "I have been trying to convince Julie to audition for American Idol or X-Factor and it sounds like Astin feels the same. If anyone else wants to case their vote for Julie or wants a voice preview...call and let us know." "I remember always hating going to the dentist, but @ Dr Krebs office it is fun! They make you laugh the whole time you're there! I PROMISE I WILL FLOSS! I PROMISE I WILL FLOSS!" "Abby, we all heard you say it...'I PROMISE I WILL FLOSS! I PROMISE I WILL FLOSS!!" It's a very nice place to get your teeth worked on. The staff are great, especially Julie! "Cole, it is our pleasure to work with you...you come in smiling and you leave smiling! Sounds like a win win." Don't get cavities it will pay off! "John must be referring to the $50 that he won in the No Cavity Club. Hey, I didn't get prizes or money for brushing my teeth when I grew up"
Dr Krebs has made dental work for McKenzie so stress free. She is not apprehensive at all and she likes to be able to see her "cavities go bye bye." "What a privilege to contribute to a positive dental experience for a child. To have a generation that is not afraid of the dentist is awesome!" I had my first appointment at ACDC on the same day I called in with an abscessed tooth issue (previous root canal was done on this tooth by others). During the process of getting the infection under control there was discussion on options to solve other complicated dental issues along with costing information in great detail. I was encouraged by Dr Randy to take my time in making a decision on what work was to be done. I had a lot of issues (extraction, bone graft, bridge work and implants) that were going to take several months to complete. The "cutting edge" equipment and all the friendly, professional staff made me feel totally comfortable start to finish through all of my treatments. I am 68 years old and this is the best dental care I have received! Dr Lisa was compassionate. She totally understood that I was nervous. I'm NOT nervous anymore. I love my smile. 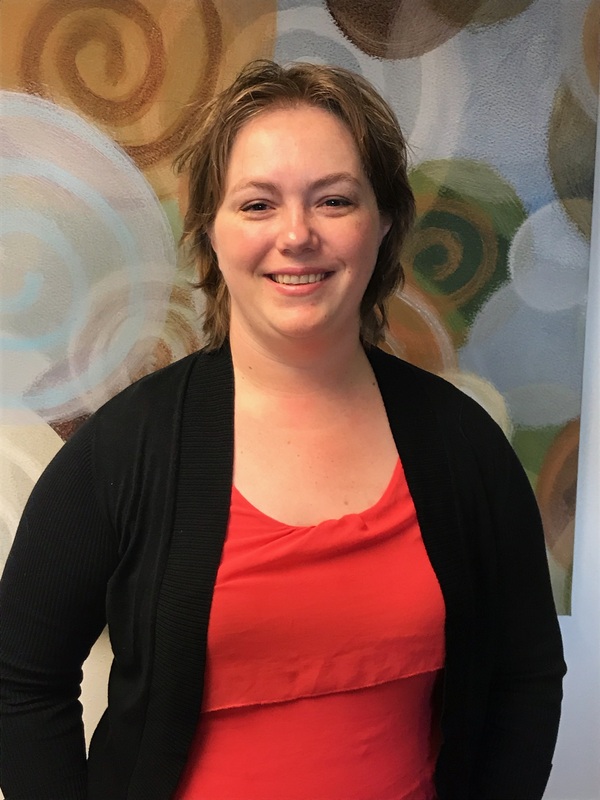 "Many of our patients who live in the Wausau area find our services are much more affordable than where they live. You get the same great care at better prices. We've heard from our patients 'you're like big city dentistry at small town prices'. We agree and thanks for the tag line." I kinda want to be a dentist...or a famous baseball players. Or both! I like going to my dentist! "I checked and as far as I could find, there never has been a professional baseball player that was also a dentist so you'd be a first, Maverick! I'd say go for them both. It would be a great opportunity to counsel the players on the dangers of chewing tabacco"
Drs. Randy & Lisa are two of the most professional dentists I have ever had. They and their entire staff are knowledgeable, personnable and courteous. Always friendly and smiling whenever I go there. "We always pride ourselves treating our patients like we would treat our own family. The way we treat people, the equipment we have, the time we take, the training we keep up on...it all makes a big difference. Come see what people are talking about." "I wanted to keep my teeth and not have my gums cut on. Dr. Randy and LInda talked me into flossing my teeth every night and it has worked great for me. Thank you guys." "Yep, its true, a piece of floss a day will help keep the doctor away. It's all about prevention and minimization at our office. Preventing things from starting or keeping them from getting worse with timely intervention is the best medicine." "Today, for the first time, I truly enjoyed coming to the dentist. Everyone is so super here. They made me feel comfortable and at ease. There was not waiting for weeks to get the appointment. I got in right away. Everyone was full of smiles so they made me feel very happy as well." "That's one of the things we've always prided ourselves on here at Antigo's Complete Dental Center, taking care of people when they need it. One of the most troubling things is to have something happen to your teeth or tooth and you can't get in to see a dentist for help when you need it most. Our staff does an excellent job to see that each emergency is handled to satisfy the patients need to be seen the day they call. " "They are very good at what they do and very understanding. I am very happy with my teeth and the way they look. I couldn't ask for a better dentist. I have been coming here for years!" "Brenda your teeth do look amazing! It's so great to have such wonderful patients. Whether they've been coming in for years or are brand new to the office we will always be understanding and ready to work with them on whatever it is they need." "I had a Fibroma (bump) removed by laser inside of my mouth. The laser was very pain free!" "Best Dentists I have ever had! Very up to date with equipment and technology! I have never had a dentist that was so much into prevention of future dental problems! They are really Great! The entire staff"
"I have had many teeth pulled and have not had any pain when pulling at all. I even had to ask if it was out! I won't go to anyone else." 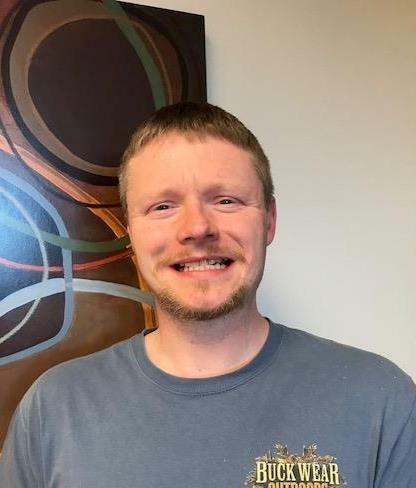 "I want to thank Antigo Complete Dental Center for accepting me as a walk-in patient. My visits after that were fast and with very excellent treatment. I want to especially thank Dr Lisa and her fantabulous staff for their professional work!" "I enjoy coming to the dentist. I actually consider Dr. Randy and the girls to be my friends. My ortho is almost done and my smile looks great." "Everyone is very friendly at Drs Krebs office. Our kids love coming when needed as they love everyone they have had for cleanings or fillings. Thank you so much, Complete Dental Center." "No... we thank you, Christine! With a large family like yours, your time is stretched very thin, we do our best to accomodate your family's needs that very same day if we find something during your kids' check ups. It isn't easy juggling apppointments for multiple kids and we're pretty flexible to our patients' needs at our office. Your kids have been great and fun to work with." Thanks again for entrusting your family to our care." "The staff here are always friendly and make it enjoyable to have work done on my teeth. They are painless and I am always confident in their dental work. Who would have thought that someone with this good of a smile could get cavities." "Yes, everyone with teeth, no matter how good they look, is at risk for cavities. Sports drinks are one of the biggest enemies of your teeth. They contain high amounts of sugar and acid which act to slowly soften areas of teeth eventually resulting in cavities. Give water a try, your teeth will thank you." "I always look forward to my trips to the dentist when Dr. Krebs became my dentist. Walking into the office you're greeted with smiles from everyone. Its such a positive place. I love it! I wouldn't trust anyone else with my smile! Thank you Dr. Randy and staff. You guys are awesome"
"Yes, we do love what we do here and our patients so much appreciate our enthusiasm and excitement for our profession. The technology that enables us to save so many teeth and treat gum disease that at one time in the past would have been hopeless helps our patients enjoy treatment never before possible." 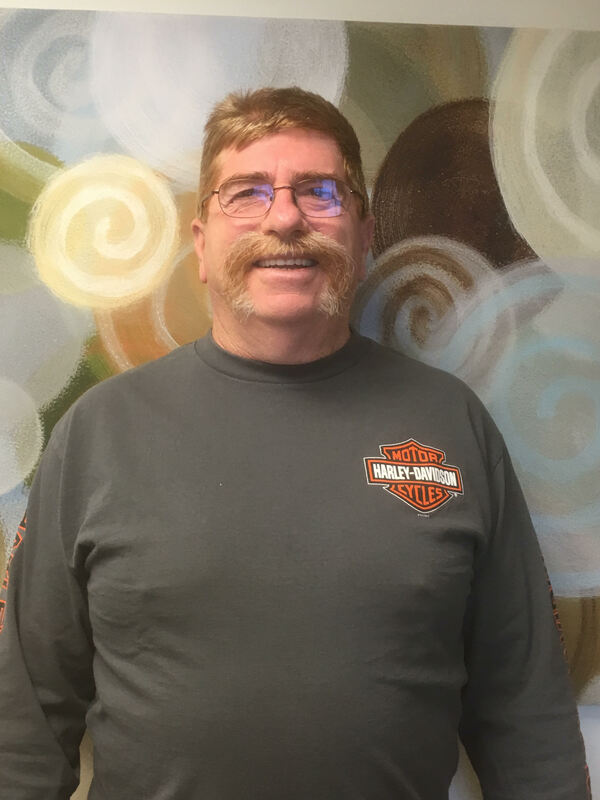 "I like going to Antigo's Complete Dental Center because they do quality work and their motto is 'we cater to cowards' and I'm a big coward when it comes to dental work. All dentist's chairs are torture chambers to me, especially in the past, but Dr. Randy always makes it easy for me." Gary has obviously had some pretty strong emotions from past dental experience. It doesn't have to be that way any more. Sure,there might be more pleasant things you could do rather than go to the dentist, but when the time comes and you're willing to go, it can actually be an 'un-experience' at our office. Give us a try and see what technology can do for your 'un-experience." "I like my smile! I am very happy that Dr. Randy and Dr. Lisa are my dentists. They do a very nice job and are very kind." 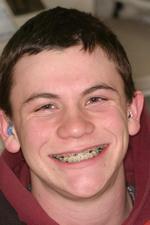 "Jesse's parents decided on early treatment orthodontics. We use early treatment because it corrects problems when kids are young so their teeth and jaws have the best chance of developing normally with a good chance of avoiding braces altogether. Jesse's case worked out great. When we began treatment she had a very deep overbite and mild to moderate crowding with a mixture of adult and baby teeth in her mouth. After correction of some skeletal problems her remaining, unerupted adult teeth were able to come in with the best possible positioning. 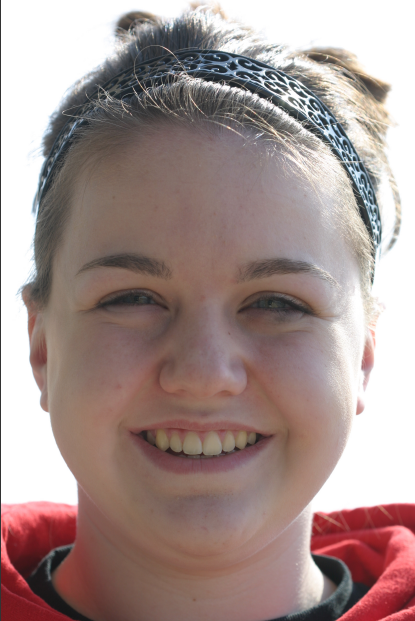 She now has a perfectly normal overbite and a very georgeous, straight teeth smile all without having to wear braces." 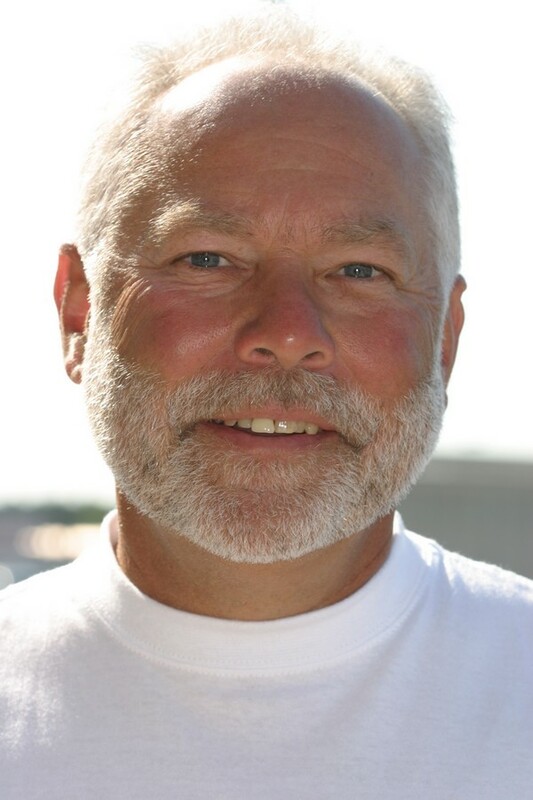 "Even though we moved from Antigo last year, I drive the 80 miles one way to have Drs. Krebs and their 'fantabulous' staff fix me up properly. They do it right the first time and they do it all right in their office there in Antigo." 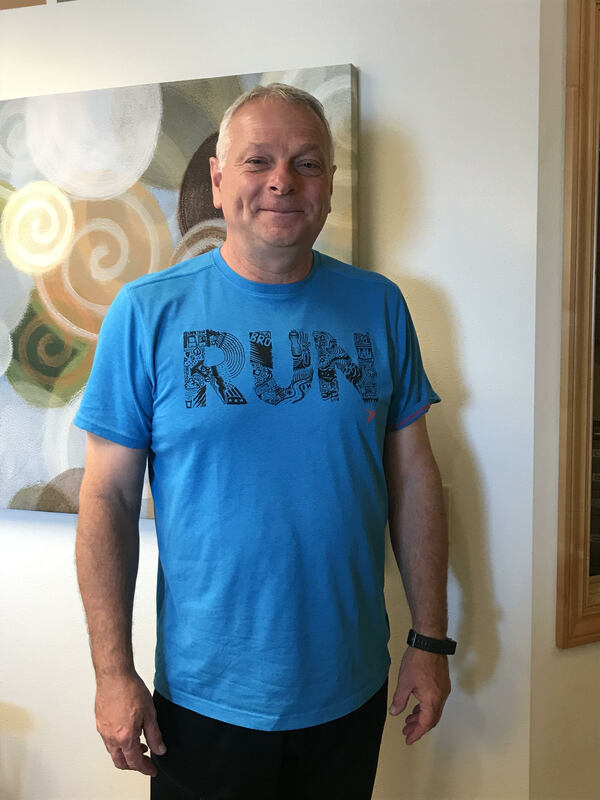 "Tom had extensive reconstructive dentistry done with us including implants and changing his facial skeletal dimensions. We enjoy doing this type of dentistry because it makes a huge difference in peoples lives." 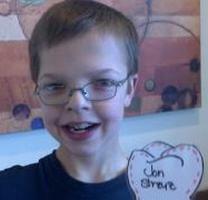 "I have heard such wonderful things about how well children get treated at Drs. Krebs' office. Now that my daughter goes there I would never take her anywhere else. Thank you so much!" "We do love kids here. It is one of the most rewarding parts of our profession is to see kids early and guide their growth and development from early on. This better assures that they will be health and stay healthy for a life time." "Drs. Krebs are very caring dentists and their staff is wonderful! So... if you like to smile go see Drs. Krebs because when you smile the whole world smiles with you." "Kristi has the best philosophy of keeping her teeth healthy while she is young and maintaining them that way through out her life time. This is the surest way to a healthy, great looking smile that will still be there for her when she is older." "My wife and I started going to Drs. Krebs in 2005 because I worked in Antigo and we owned property nearby. We have since sold the property and I no longer work in the area. My wife and I decided it was worth traveling the 65 mile (one way) to continue with Drs. Krebs because of the professional and personal care we receive, not just from doctors Lisa and Randy, but from all of the entire staff." "I think once people realize what we have to offer, they see the value in driving a little extra to get to us, even with the higher gas prices. We can give you services only found in bigger cities, but at small town prices." 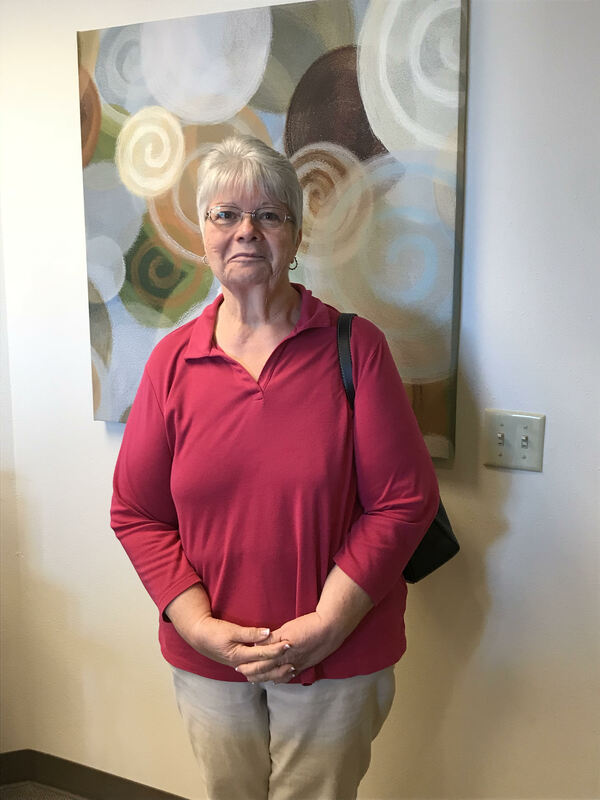 "I was shocked that my appointment was only 12 minutes and pain free! I have beautiful, great functioning teeth thanks to Dr. Krebs and the staff at the Complete Dental Center." "Although it is hard for us to imagine, people probably have better things to do than be at the dental office. We respect your time and try to keep your appointments to the shortest time possible." "I love the Complete Dental Center and their staff. They have the latest cutting edge technology and my procedures have been quick and fun! They're the greatest! Totally awesome!" "Yes, that's right, dentistry can be fun. We hear this from our patients more often than you'd think. Dentistry today just simply isn't what it used to be. We try to keep the atmosphere fun and easy at our office, there's just no need to do anything else. If for what ever reason you are a little anxious about a dental appointment always remember our motto is; 'we Cater to Cowards'. This is just a fun, light way of saying that we understand your concerns and will provide you with the same care and understanding that we would give to our own families. Please visit our website, www.drskrebs.com and check on what is available to you now." 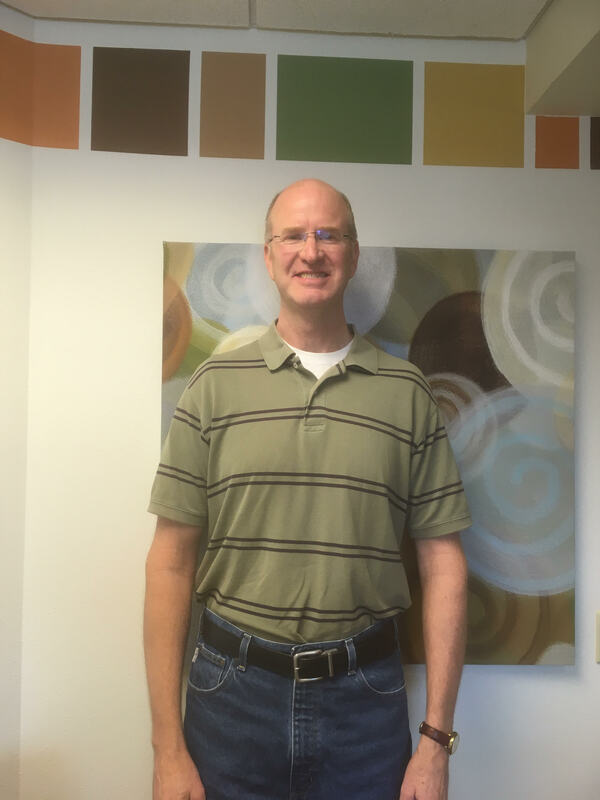 "My experience with Dr. Randy and the whole Antigo Complete Dental Center has been awesome. I started coming when I was little and I hated the dentist then, now its a lot of fun to come here . They make you feel comfortable which is the most important thing and thanks to them, I love my smile!" "Sure we could have just straightened out Miranda's teeth and that would have looked great, but taking that approach wouldn't have been the best for her. In order to give her the healthiest, most functional, stable, most aesthetically pleasing outcome we paid close attention to the details of here facial skeleton and corrected any imbalances there first and then moved on to the teeth. 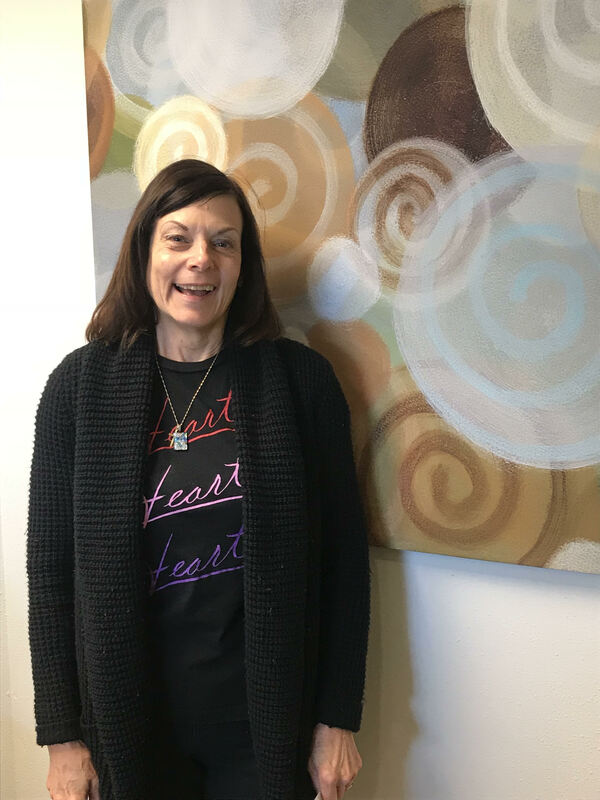 Without this approach the best outcome in orthodpedic/ orthodontic treatment is not possible" We're super happy for her that she had such a great time during treatment, she was a pleasure to work with and we all loved her too." "I like going to the dentist because I like everything about the dentist. I love the marshmallow flavored stuff they put in your mouth." "We love kids and they love our office. We're a regular Dairy Queen when it comes to fluoride flavors, Leo likes marshmallow, but there are many more sure to please any childs palate. Come on in and have a taste." "I was very afraid to go to the dentist. Drs. Randy and Lisa Krebs are so gentle and caring. I had a bad tooth taken out and never even felt the freezing at all. The tooth removal was painless too. They have taken away my fear to go to the dentist. The staff is great too. Thank you so much." "As our sign says, 'we Cater to Cowards' . People always ask us , 'did you give me a shot already?' We usually tell them 'no, we gave you three and you didn't feel any of them'. With modern techniques and materials dental treatment doesn't have to be painful anymore. What are you waiting for? Remember 'a stitch in time saves nine'. "When I was younger I had a bad experience with a tooth extraction. Years down the road I was in a similar situation, but never got over the fear of it happening again like before. Dr. Lisa put me at ease about how painless it would be. When the day came for the tooth to come out she had it pulled before I realized she was pulling it." "We love making people feel at ease for all their dental procedures. Its one thing to take care of people's needs, but to do it in a way where they feel they are well taken care of is really the key to a total'y awesome dental care experience. Most poeple believe that this isn't possilbe. Come see how easy it is for us to change your mind." "Don't wait to have your cavities filled take care of them while they are small and have them taken care of with laser. It's fast and painless. No needles! I loved it! It made going to the dentist a good experience...no fear thanks to Antigo's Complete Dental Center." "Its all about minimally invasive dentistry these days. Detecting cavities when they are the smallest begins and ends with easy, painless lasers. A low powered laser detects cavities in chewing surfaces before x-rays or the human eye, or the dreaded "pick". Another type of laser can treat them painlessly before they become larger and require more extensive, invasive treatment. We love using the lasers on patients because it has taken all the anxiety out of the traditional dental appointments, especially for clients who are really worried." "I had very crooked teeth before I started seeing Dr. Randy. With his help and the help of this friendly and energetic staff, I now hav a beautiful smile I can show off everyday. Plus, at the Complete Dental Center they know you by name and want to get to know you at a personal level which makes trips to the dentist more relaxing and actually fun." "Dr. Krebs' office has such a friendly atmosphere. I enjoy going for my orthodontic treatment. Everyone is so friendly. They talk and joke with me, keep me occupied while I am waiting and they always have music playing. They also have positive things to say about me. I appreciated all they have done for me." "There is no reason every visit shouldn't be pleasant and easy, especially when gorgeous smiles are being created. Great service is our goal and we enjoy making people feel comfortable in our family-like, hometown office." "I like going to the Krebs' dental office, especially for cleanings. I had to wear headgear for my braces, but it wasn't as bad as it sounds. It fixed my top teeth from being behind my bottom teeth. It worked very well. The people here are very, very nice. 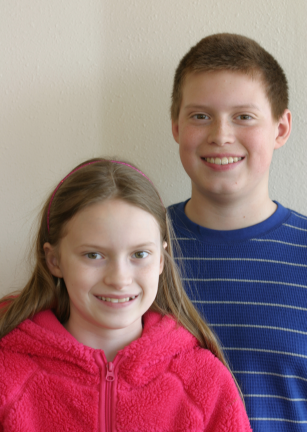 The Krebs' dental office is a very good dental office to go to." "Megan was great to work with. We had a lot of fun when she came to the office. Her parents decided to treat her bite problem early and it really paid off. She had a facial skeletal problem that would have led to surgical correction if let go until later years. We avoided surgery and corrected the problem with facial orthopedics to give her the best possible, most healthy, gorgeous smile." 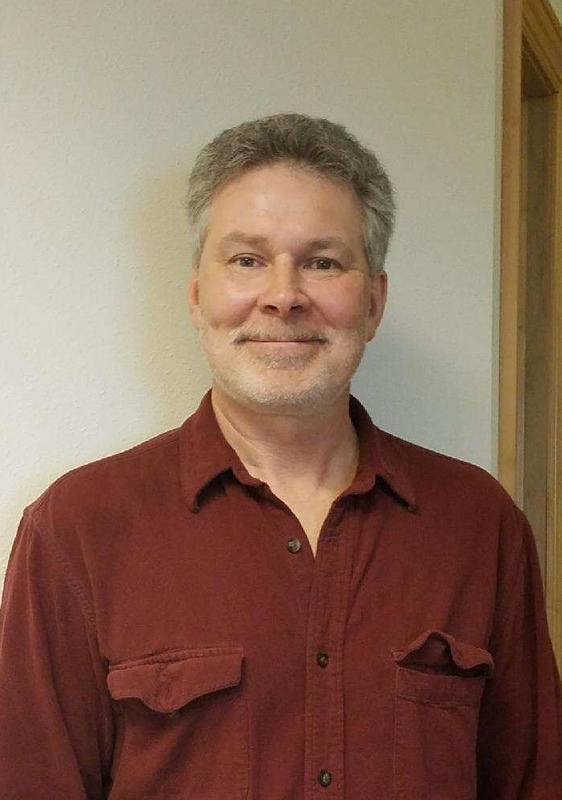 "Antigo's Complete Dental Center has been a wonderful experience for me over the past years. I love their friendly staff and they help make my appointments more enjoyable. They have always worked around my busy schedule of school and sports. Now that my braces are done, I miss seeing them on a regular basis." "Everyone at the Complete Dental Center is awesome. They have a great staff! I love coming here. They make going to the dentist fun, and they work with my schedule very well." 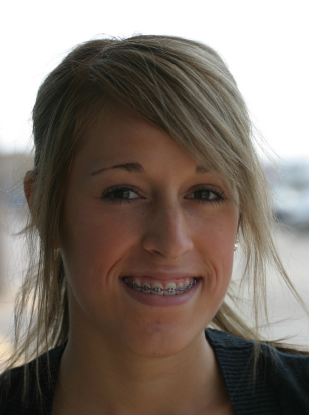 "Orthodontics is one of the treatments we enjoy the most at our office. It makes a huge difference in the way someone feels about themselves. It is a pleasure to help create the great feeling patients get from their new, gorgeous smiles." "I've always had crooked teeth. 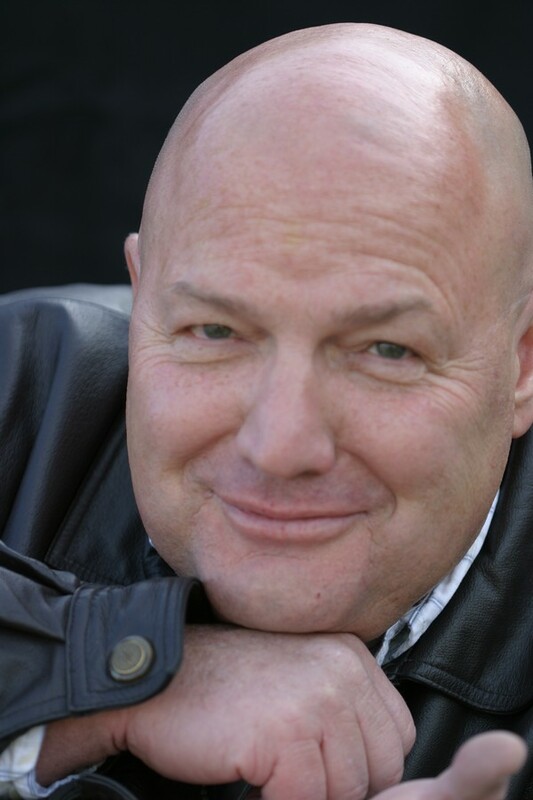 Dr. Randy and his staff made my smile straight and beautiful." "Elise had severely crowded teeth when we first examined her. It was suggested by other doctors that permanent teeth be removed to make room to straighten the rest of her teeth. We were able to expand her bone to accomodate all of her teeth without removing any of them. Treating kids early, ages 6-7 years, will almost always allow all permanent teeth to remain in the smile with the healthiest, most beautiful, longest lasting result. Waiting to correct a problem later, makes it much more difficult to achieve an excellent result without removing permanent teeth. For the most wholesome, most conservative treatment of teeth, give functional jaw orthopedics a try." "People who I work with say I look 10 years younger with the dentures Dr. Randy made me." "Dentures and partials are some of our favorite procedures. Whether you need new ones, are not satisfied with the ones you have or are thinking about your first set, come see us for a complimentary consultation. Careful consideration must be given to their construction to achieve the most natural look that serves you very, very well for years to come." 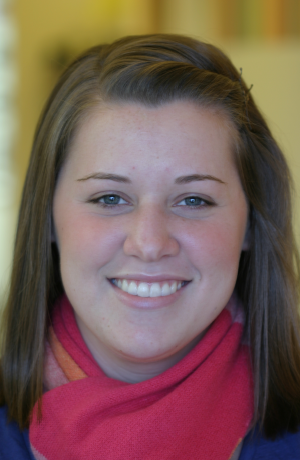 "I like going to the Krebs' dental office because everyone is so friendly. I've now been going there for five years and in doing so, I've come to know them better. 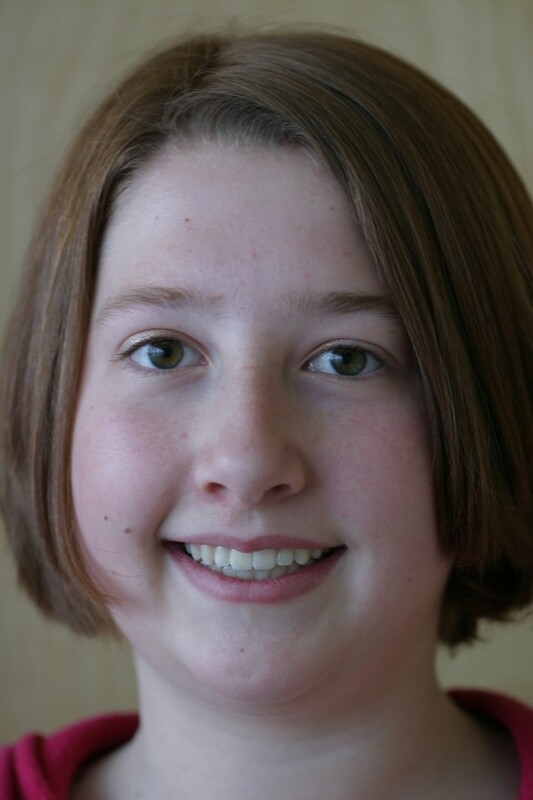 Throughout those years, they and their fantabulous staff, have done a fantabulous job to my fantabulous teeth!" "Jared's teeth were severely crowded. 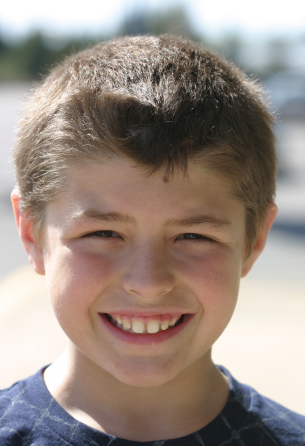 Using our early treatment, non-extraction technique of orthodontics, we were able to give him a lifetime of oral health without extracting any permanent teeth. Don't let your son or daughter have to experience needless removal of permanent teeth; have us evaluate them by age 7 or 8. When treated early, crowded teeth can be fixed without the removal of permanent teeth." 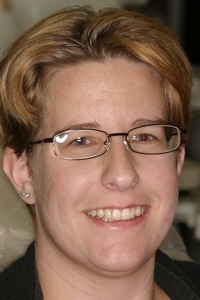 "The entire Antigo Complete Dental staff is so friendly. They joke around with me and we always have a good time. I receive compliments on my smile all the time and I owe it to them and the work they did with my braces. I can't imagine going to another dentist." "They're the best in the wide, wide...super wide,wide, wide world. Now I look pretty again! Look out girls!!" "Helping people feel good is one of our specialties." 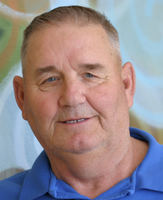 "I drive all the way from Crandon to see Linda for my periodontal maintenance appointments. She gives me top-quality and pain-free cleanings at every appointment. They are always staying on top of dental education of new procedures and products so I can get the best denal care available. What are you waiting for? Schedule your appointment today." "I'm not sure how good of a singer I am, but l do know that we here at the Antigo's Complete Dental Center are very attentive to smiles. Creating the best possible grin from teeth that are not so perfect starts with normalizing the bone first so the teeth are able to be placed in the most appropriate position relative to other facial structures. This method does take a little more time than other methods that simply align the teeth, but the result is worth it in the end. Moving the bones of the jaws and face is painless and easy. lt allows the teeth to be positioned properly in the jaws relative to the rest of the facial skeleton. Come see us for a complimentary consultation to learn more about functional jaw orthopedics and its beneﬁts to your or your child's teeth and jaws." “A word that comes to mind about the Complete Dental Center is ‘conﬁdence’. l’m always conﬁdent that they have the most advanced techniques and procedures that are available. The doctors and staff give their best to their patients’ needs." "The truth is; my wife makes me come to the dentist...but they sure try to ease my fears once I actually get there." "You couldn't find a more caring team of people than at the Complete Dental Center. tThey treat you as if they've known you for years. It makes going to the dentist tolerable and even pleasant." "When we say 'we cater to cowards' it means more than just that. It means making everyone feel well taken care of, 'coward' or not. It's just the way we do business. If you've had dental experiences in the past that have made you less appreciative of 'the dentist' than you could be, give us a jingle and see if we can't change your mind"
"Truth is; I love coming to the dentist! I've always gone to Dr. Krebs and my teeth look great! The staff is always very helpful and very friendly. I leave with a smile everytime! "Molly has been a true pleasure to work with and get to know over the years. We enjoy her as much as she enjoys us. Now you can like us on Facebook for more interesting news about the office and our great clients and staff. 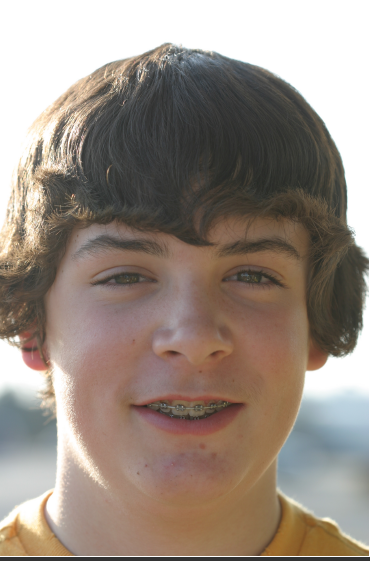 "Dr. Krebs and his staff provided great care and with their orthodontic work gave me the smile I always dreamed of. I am under great care and have fun at every vist." 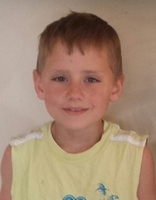 "We had a lot of fun with Jesse when he came in for his visits. We look at our patients as our friends and neighbors. We work and play in this community just like you do. There's nothing more rewarding to us than to see the great smiles we've developed out on the town." I had a very great experience at Antigo Complete Dental Center. I normally have a hard time with having work done on my front teeth, but I had no issues with my treatment and Dr. Aaron was done before I knew it. Definitely excellent service! 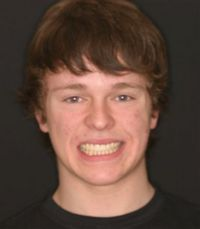 Josh, I am glad your treatment went well and your teeth look phenomenal!